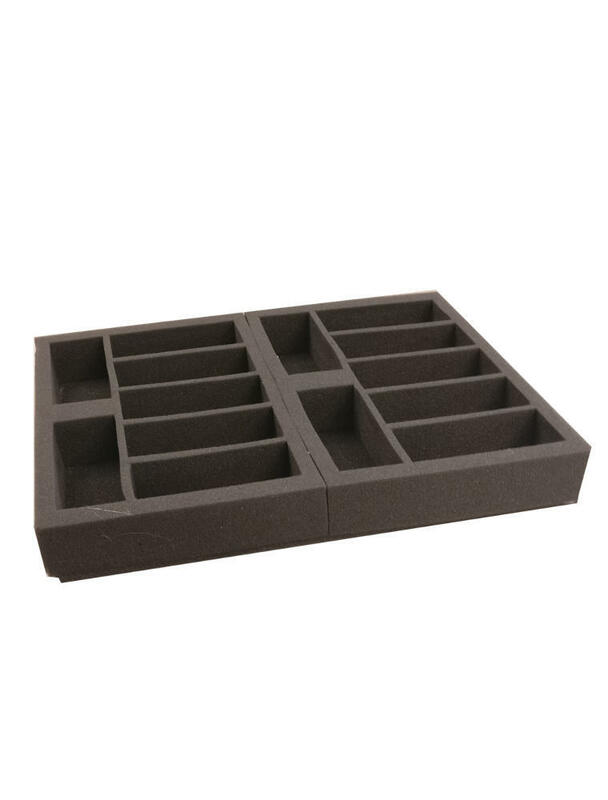 Please ignore the "Size" information when you hover over the trays, that is there for the builder function only. 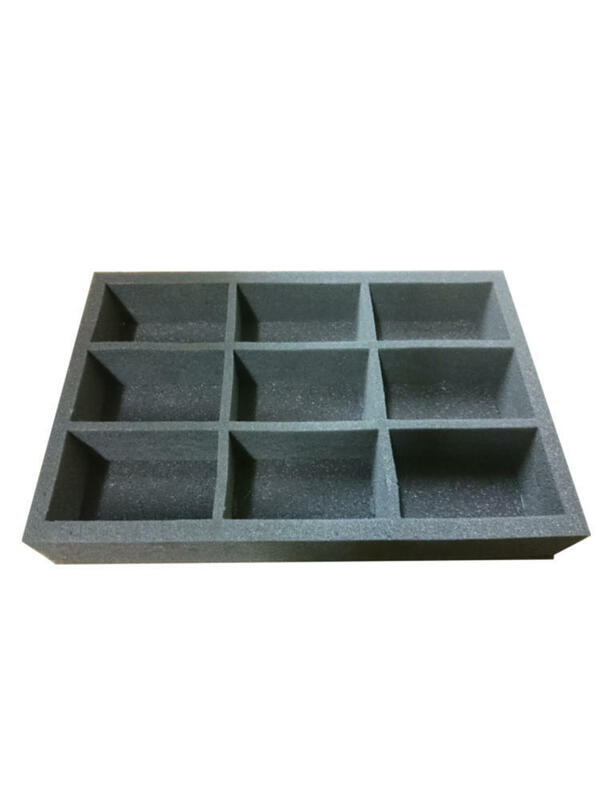 The depth of each tray is included in the title of the tray and it does not include the base pad glued to the bottom of each tray. 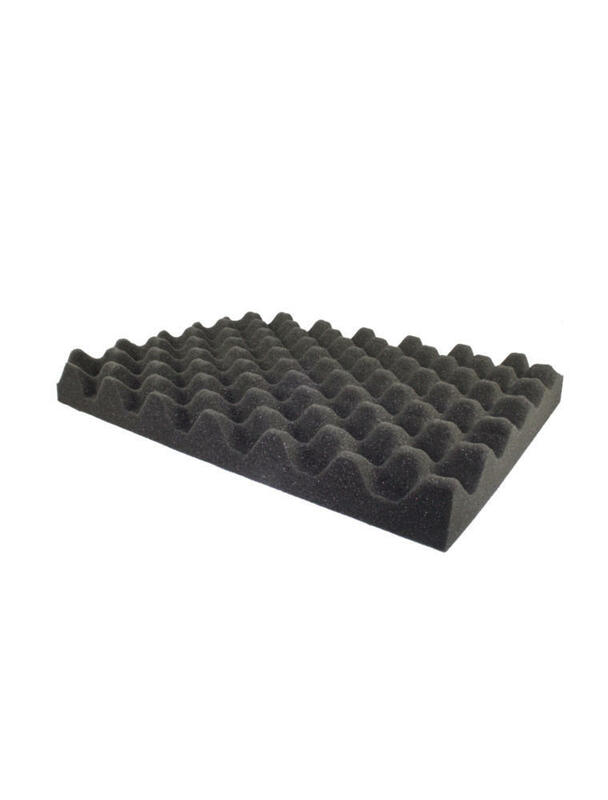 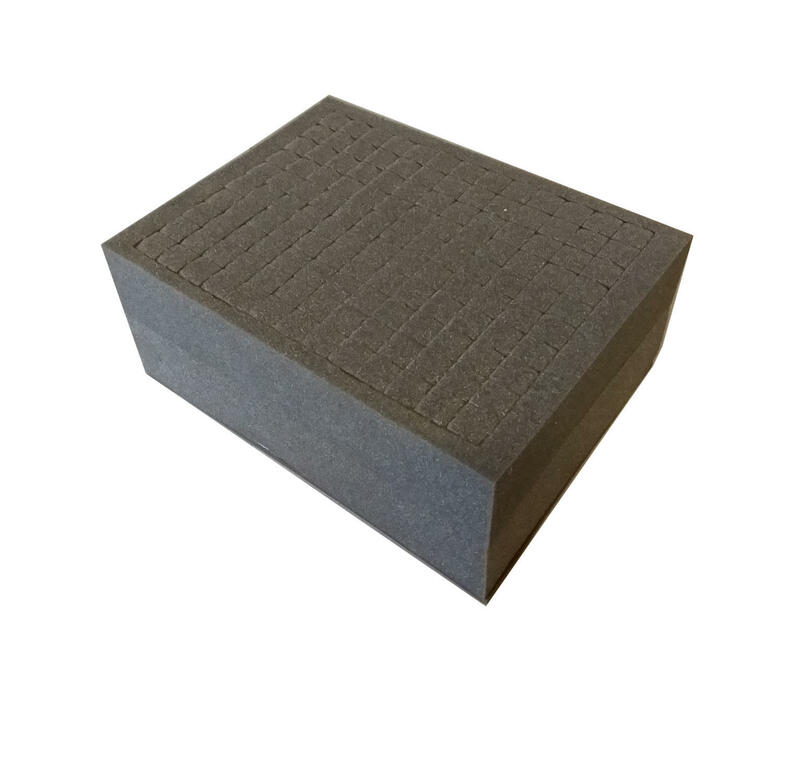 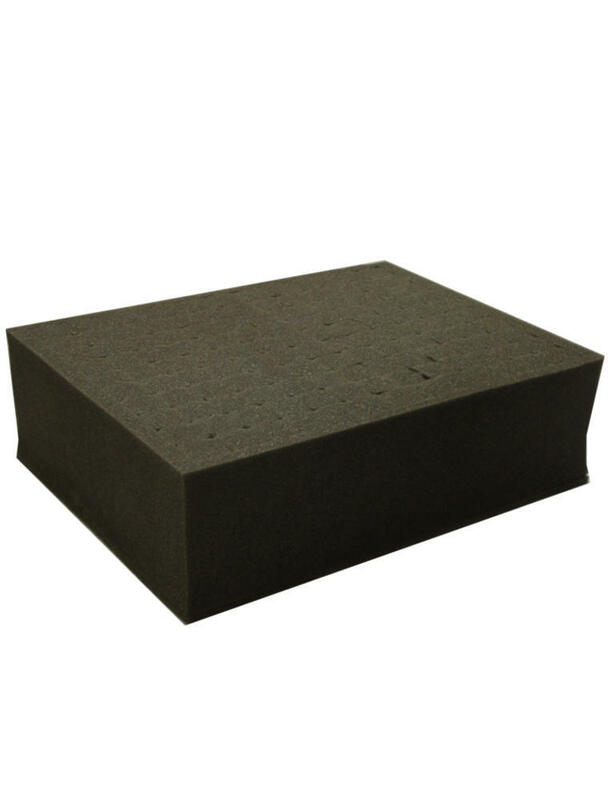 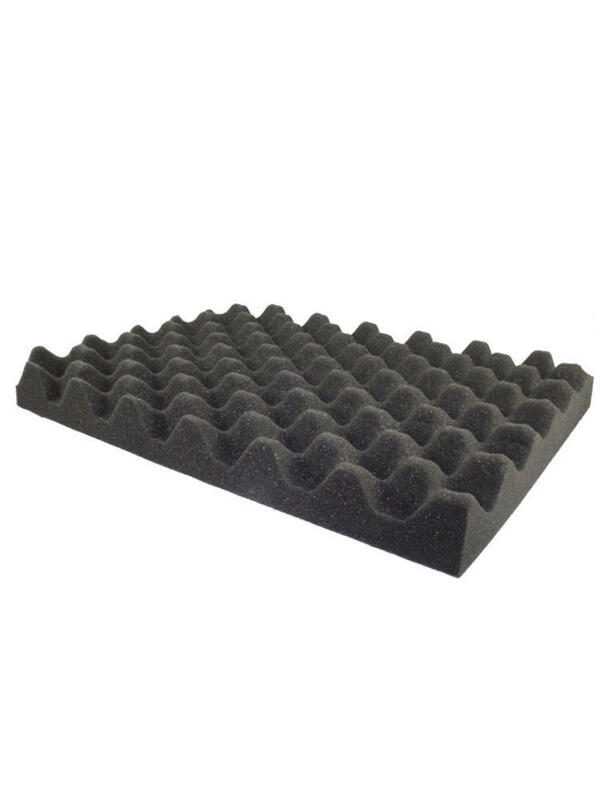 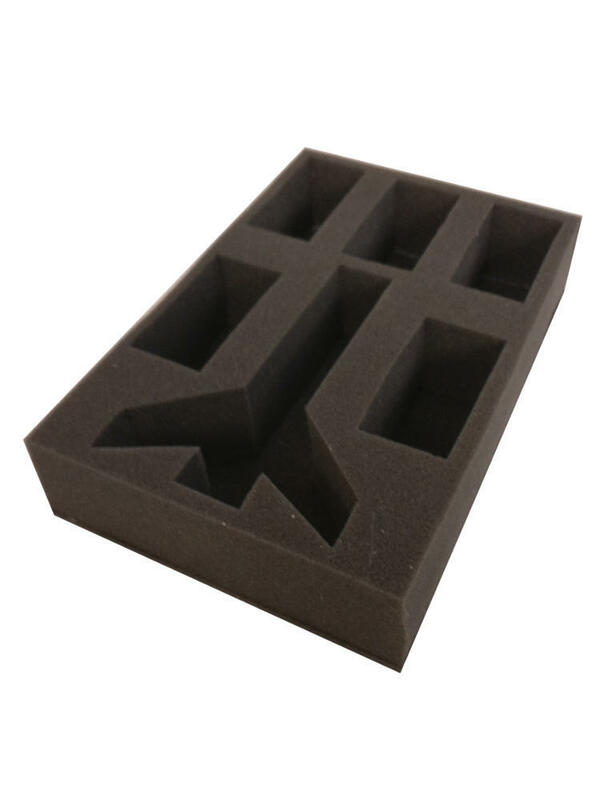 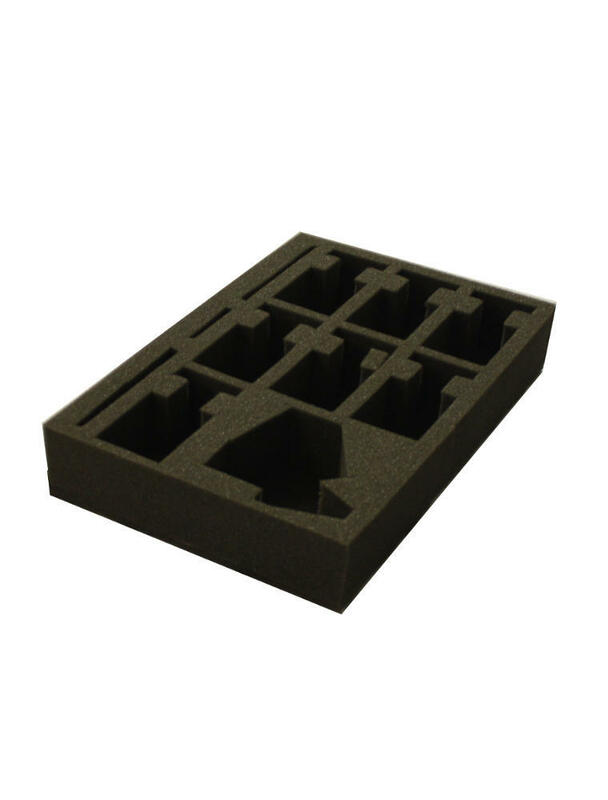 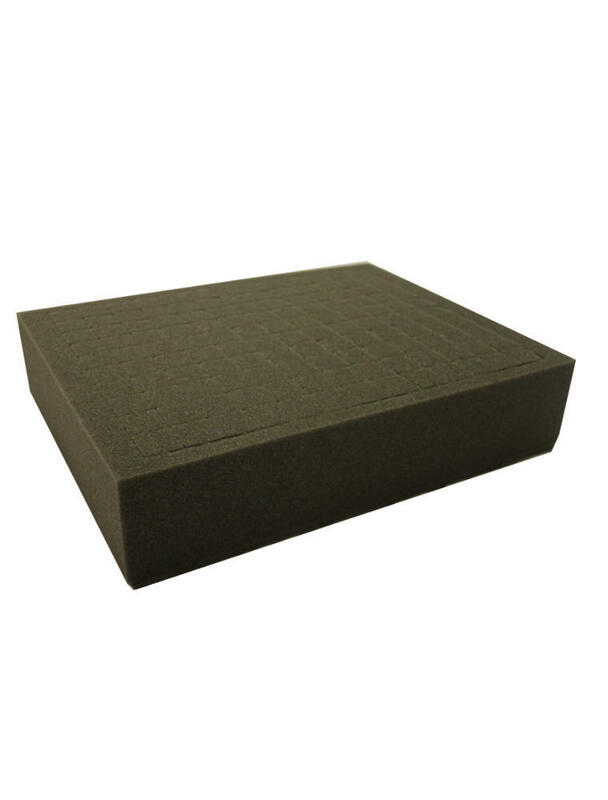 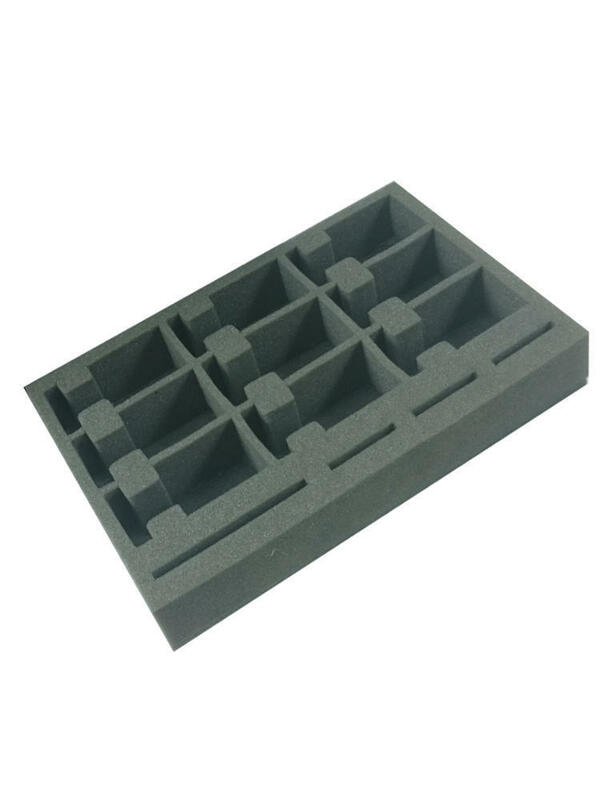 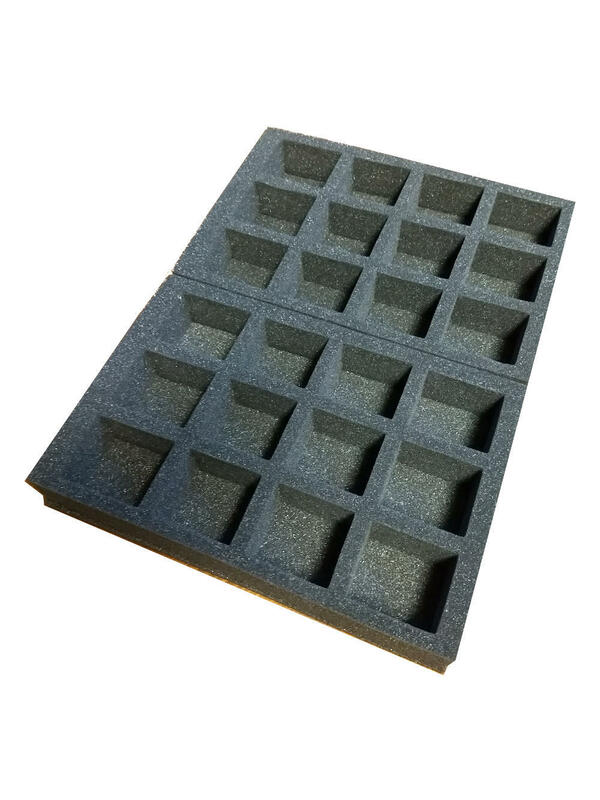 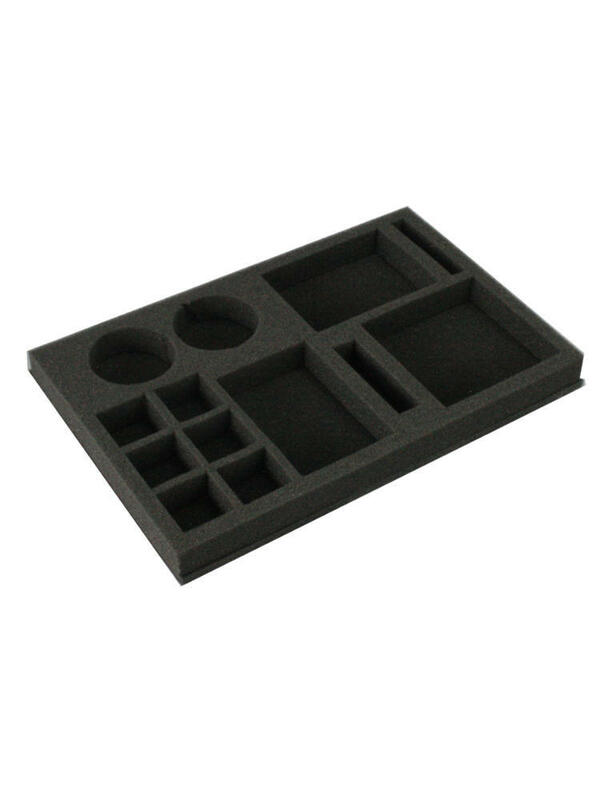 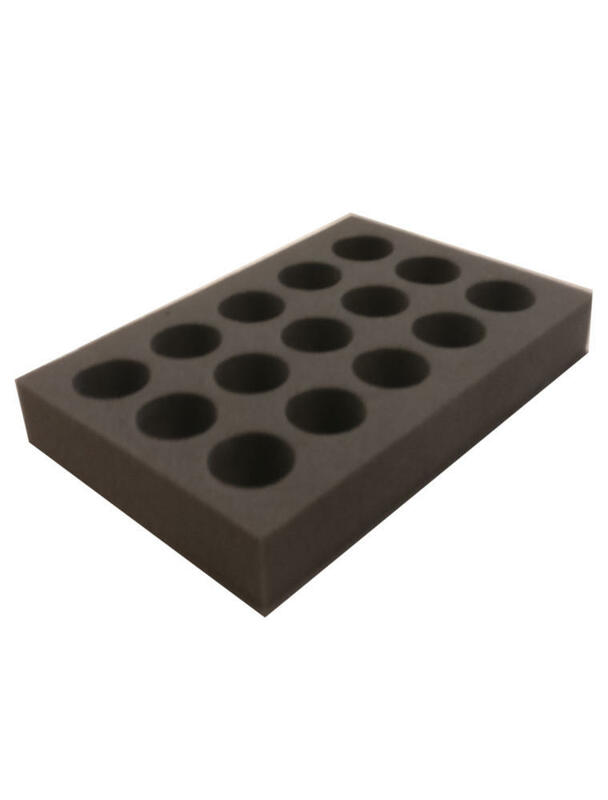 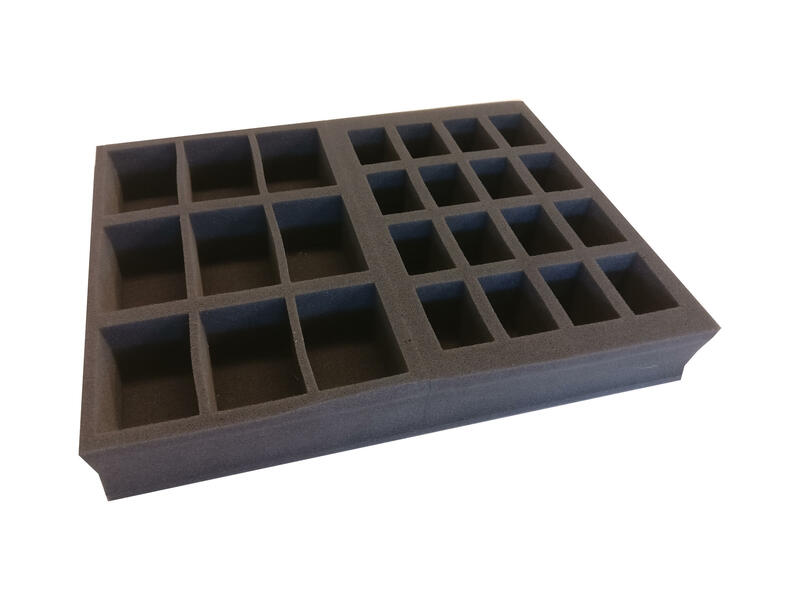 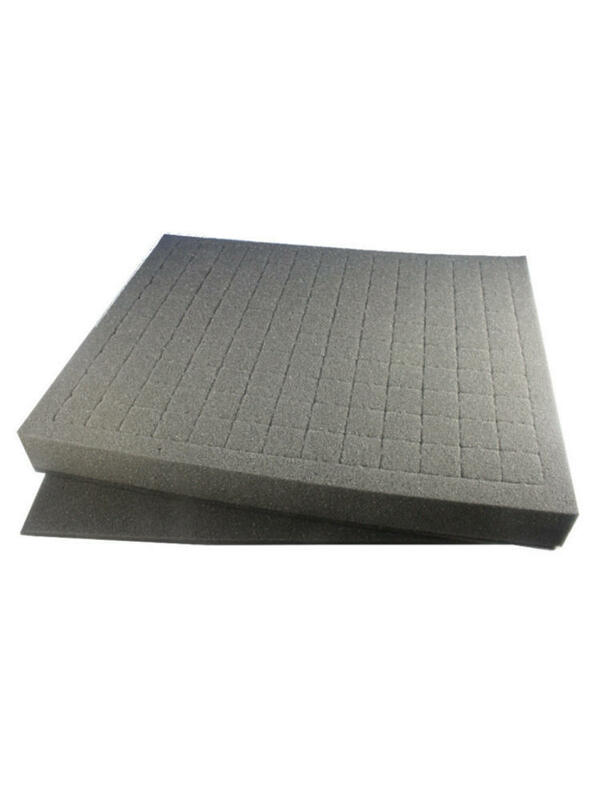 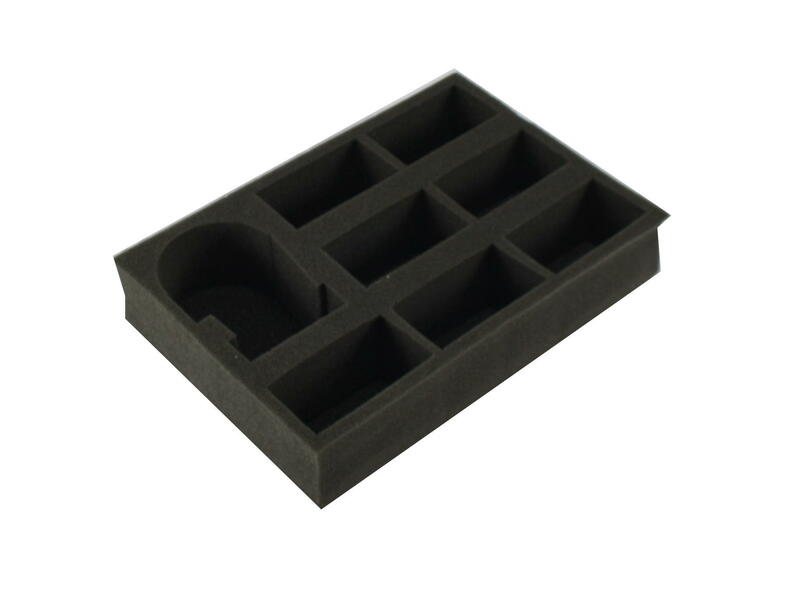 Please ensure when ordering half trays you select an even amount so that you maximise the amount of foam in your case. 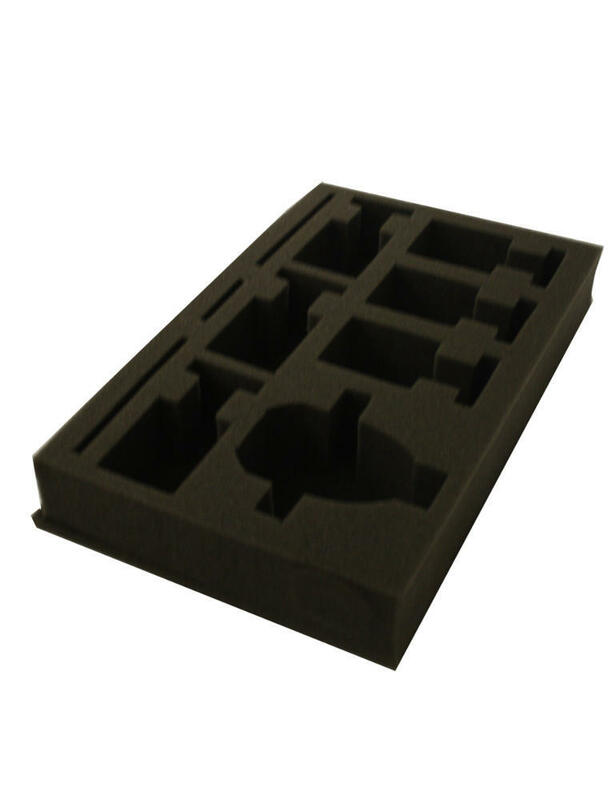 The Tyrant Army Figure Case MK 3 is a lightweight and durable black material case. 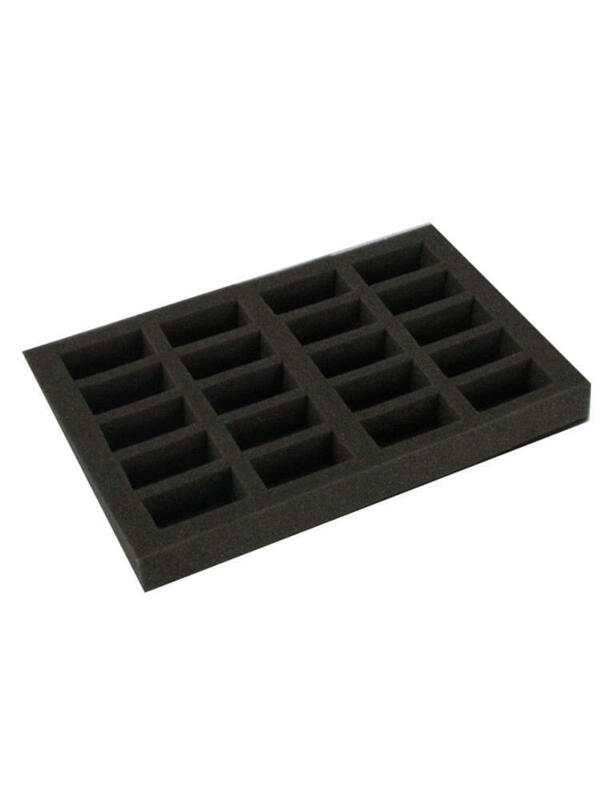 The Tyrant has been orientated so that trays stack horizontally for extra protection for your miniatures. 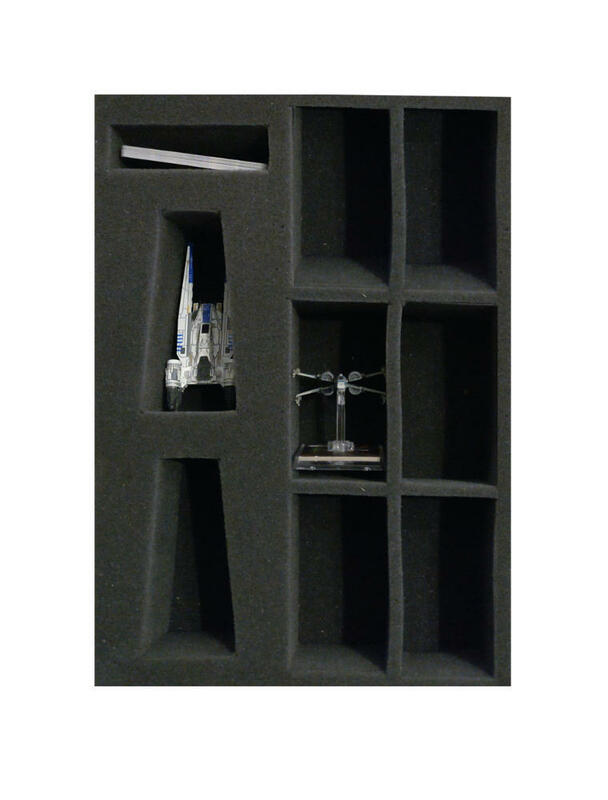 As well as the top opening, a side panel also opens out so trays are easier to reach and stack. 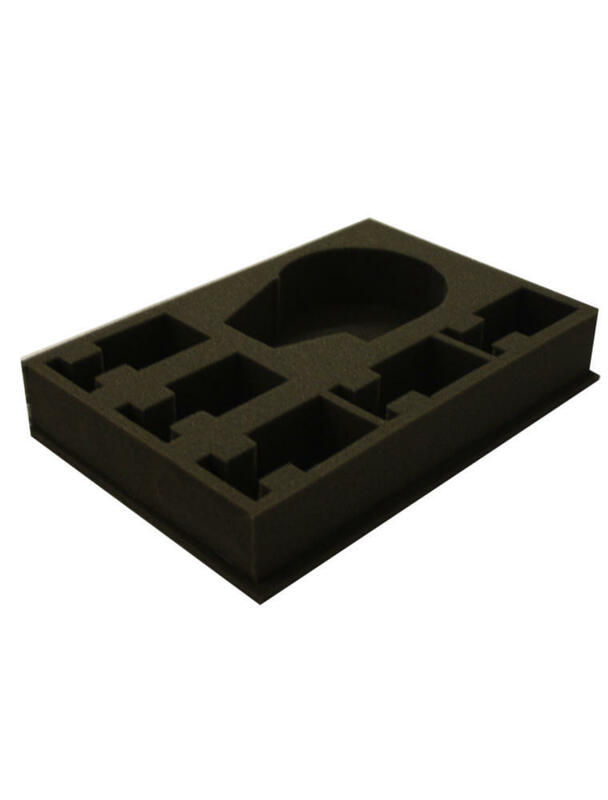 The case is water resistant and specially designed to fit the classic G.W. 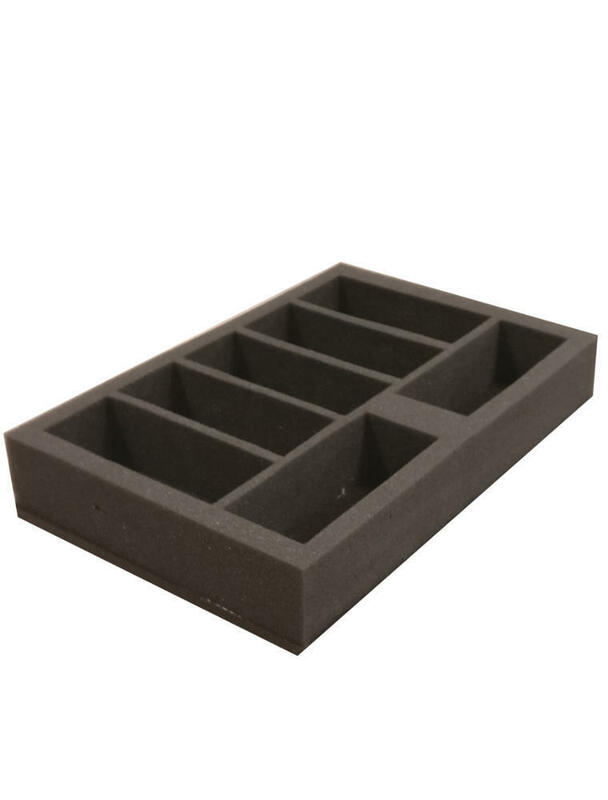 trays (found in their older figure and army cases) as well as the Tabletop Tyrant range of trays. 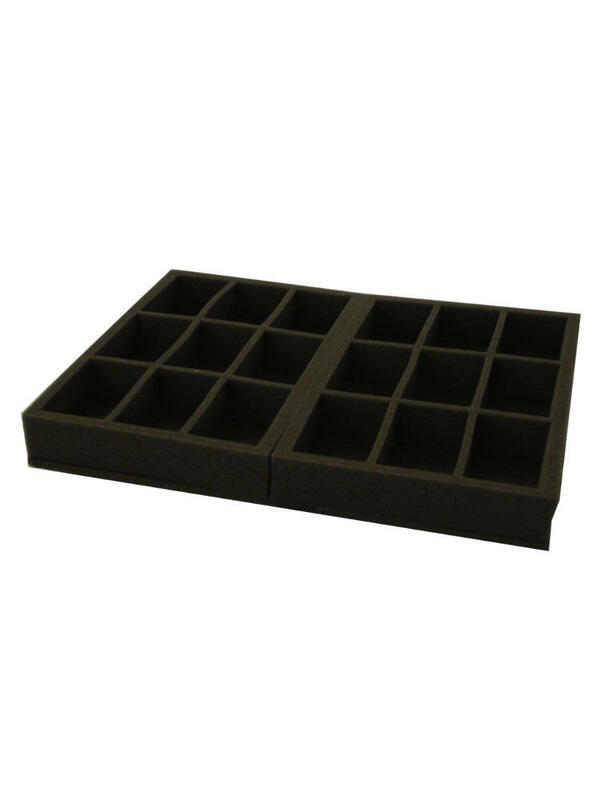 The case comes with a zip top, sewn handles, a shoulder strap and heavy-duty buckles. 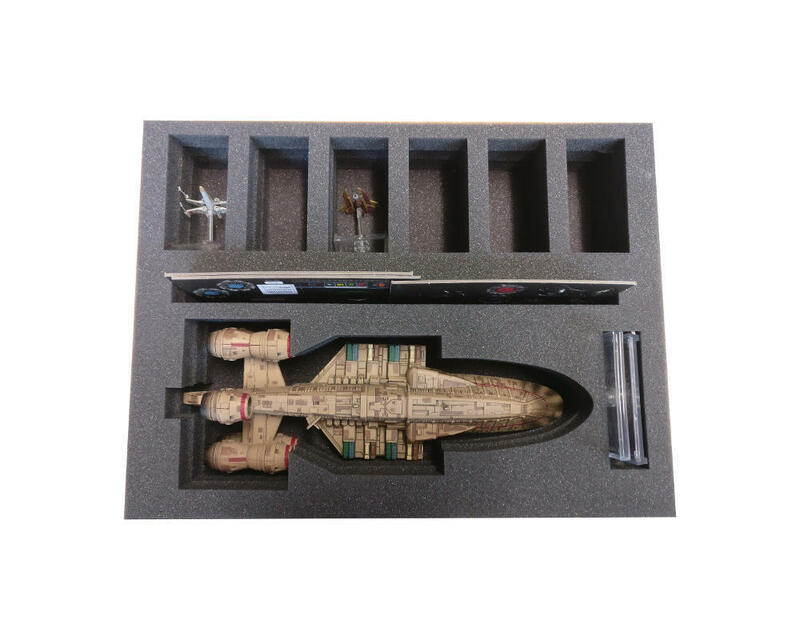 We have improved the plastic battle armour of the tyrant so that all 6 faces of the case are protected. 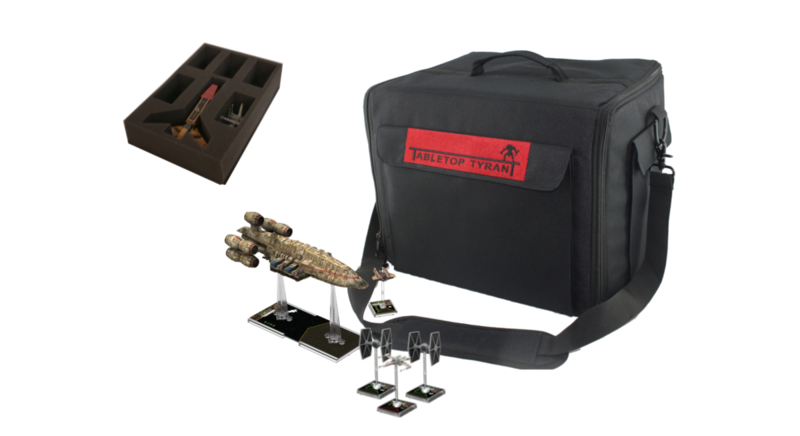 This new version of the tyrant also comes with side pockets for templates and dice, a front pocket for rulebooks and an inside pocket for army books or rulebooks. 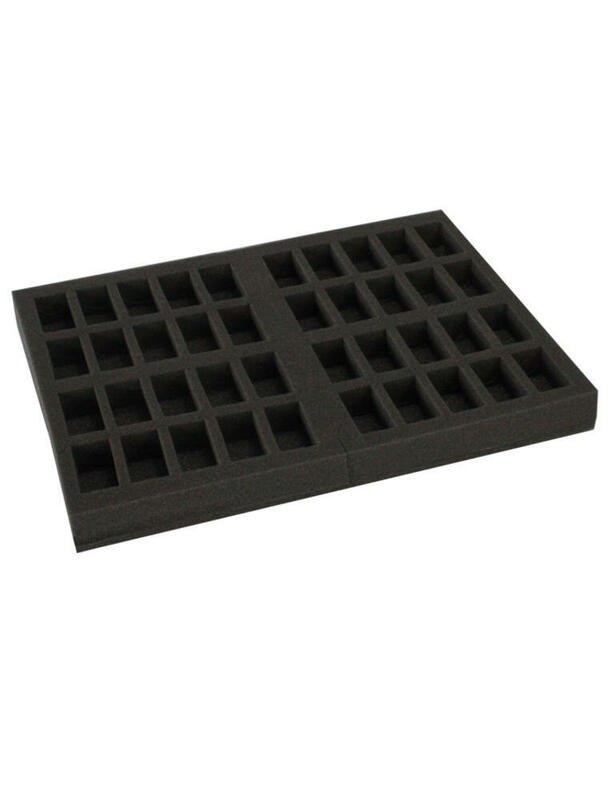 Any excess space will be filled with cover trays.